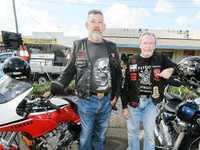 BUNDY bikers got their rides into gear for a life-saving cause that took them to Miriam Vale and back yesterday. The annual Bumz on Bikes ride, which raises money for the Cancer Council Queensland, had a huge response in Bundaberg, with 112 people registering for the ride. Organiser Noddy Groundstroem had one word to explain the day. “Awesome, just awesome,” she said. 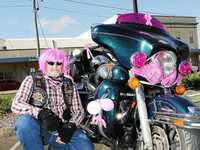 Mrs Groundstroem said the support shown by bikers around the region was a thrill to see. 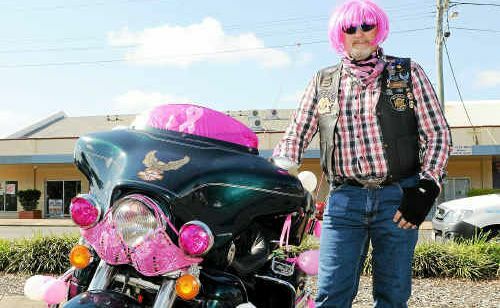 “We had guys dressing up in pink and wearing bras and really getting behind the cause,” she said. 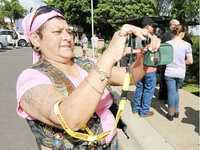 The organiser said she was also pleased with the riders' behaviour. “I was very, very happy with our riders,” she said. The day hit a small speed bump when the riders arrived to find their lunch had taken a turn for the worse. 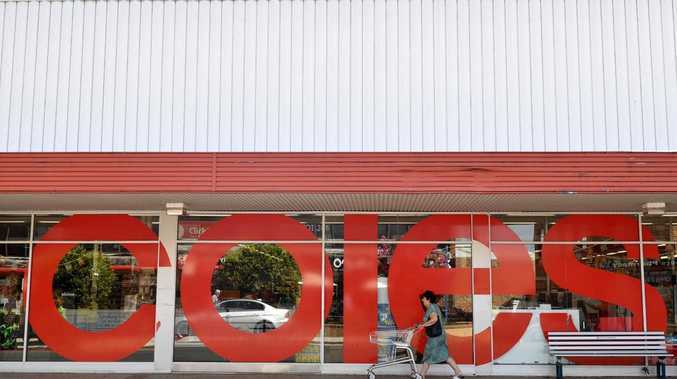 “The Lions cater for us every year and, through no fault of their own, there was a refrigeration problem and all of the food went bad,” Mrs Groundstroem said. Mrs Groundstroem said another highlight was seeing new people on the ride. “We will absolutely be back next year,” she said. The event includes a balloon release and minute's silence to remember people who have been lost to cancer. The figures have not been finalised, but the organiser said she believed last year's $5000 raised had been topped.